I love listening to music, music can set the mood for what I'm doing. If I'm working I like to hear something upbeat and energized. When I'm relaxing or going to sleep I like something soothing and calm. I was very pleasantly surprised at the sound quality that comes from this speaker. I love the vesatililty that this bluetooth shower speaker allows.I have had several bluetooth speakers but I want to tell you all about this Bluetooth Shower Speaker by AncordWorks. 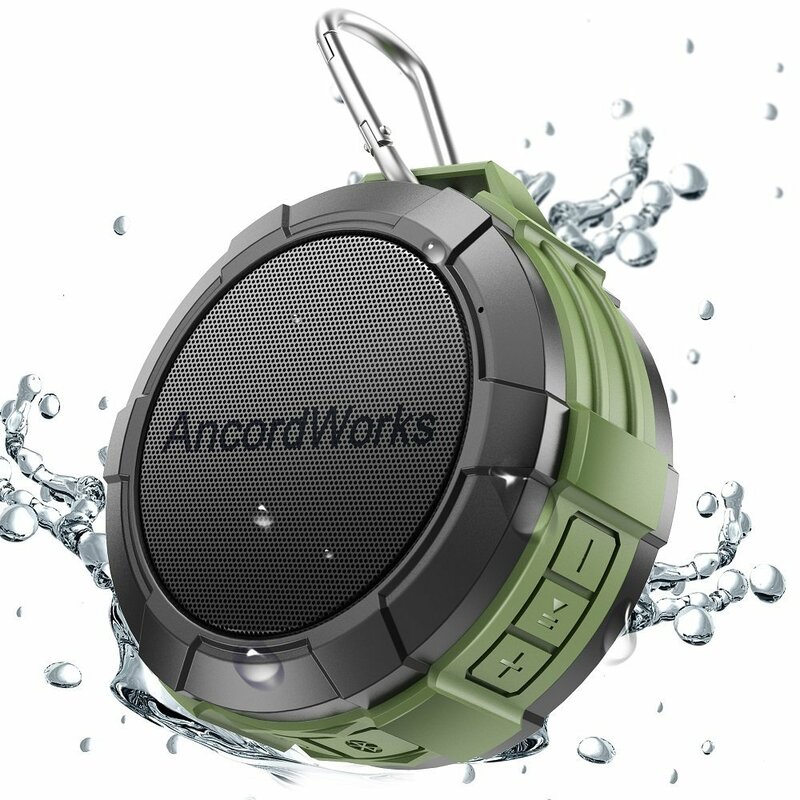 What sets this speaker apart from others is that it's water resistant, made of metal and silicone. You can listen to your music while you shower, but not only that,you can take this speaker to the pool or the beach without worry about it getting wet and ruined. Are you ready for this? It's also shockproof, dust proof and sandproof. You ca really go anywhere and have your music too. 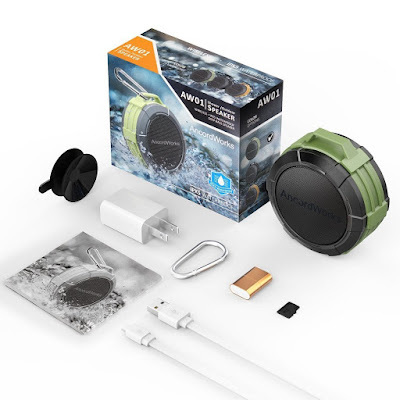 This Bluetooth Shower Speaker has a built in Mic and hands free features so you can conveniently pic up your cell phone calls while your phone is paired with this speaker, whether you're in the bathroom, the office, your car, anywhere you're paired with this speaker. 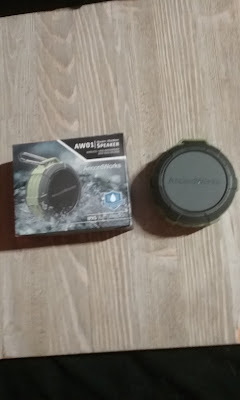 AncordWorks really thought of everything when they put this speaker together. It includes the bluetooth shower speaker, a suction cup/clip carabiner, USB charger, 8G TF Memory Card, TF Card Reader, USB charging cable. The TF card play function is pretty awesome. You don't have to carry your cell into the bathroom with you, The 8G TF memory card holds about 1,000 songs and the card reader is included, just slip the card into the slot and listen to your favorite music. AncordWorks stands behind their products with a 100% 12 month Manufacturer Warranty.